Food & Wine claims DK Sushi in University City offers the best Omasake in the city. Omakase is a meal that lets a chef show off. It literally translates to "I'll leave it up to you" in Japanese, a sushi dining experience entirely in the hands of a chef; every dish a vehicle to show off their skills, preferences and vision. And apparently, the best of Philly's omakase is inside a busy student dining hall for $35. Food & Wine claims it comes from DK Sushi, a fast-casual takeout and sit-in sushi restaurant on the University of Pennsylvania's campus, inside the newly opened Franklin's Table food hall. You can check out a general list of what to expect for the omakase experience, but the 13-course meal is said to impress. If you don't have time to stay for the experience, you can grab takeout on the quick, too. The owners are saying the goal is to save your time — and your money. 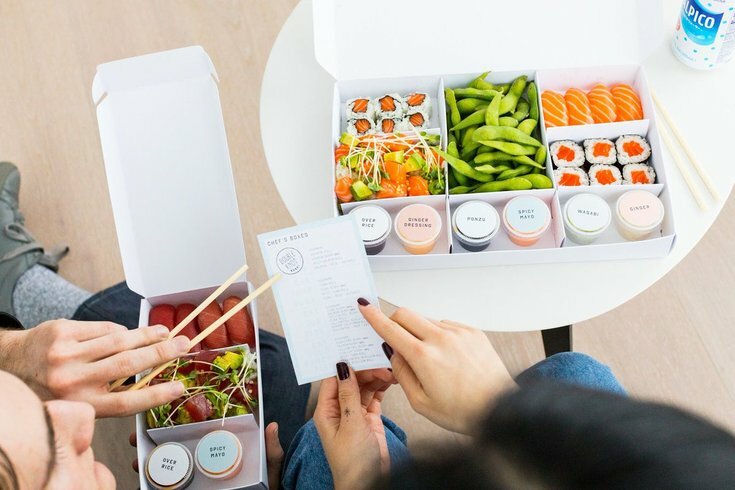 Looks like you can get a salmon bento box with a roll, sashimi and edamame for $16. 2-piece salmon sashimi pieces are going for as low as $4. And six-piece tuna rolls start at $6. Not bad.